In Your Home or In Our Studios! We teach classical, jazz, pop and much more. Our teachers are passionate about playing music and love instructing other fellow enthusiast to become proficient at their instrument. Our teacher will help you learn and build a strong foundation to be an excellent musician. 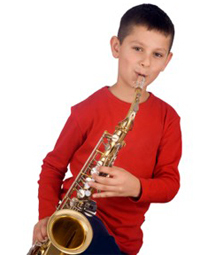 Your teacher will work with you diligently to help you with good tone quality as well as proper breathing technique and teaching strong reading skills. Our instructors will help you with school or professional auditions and help prepare for any band material you want to become solid with. All of our teachers are gracious, warm and extremely patient. We'd love to arrange your first music lesson. © 2019 Knauer Music School. © 2019 Knauer Music School. All Rights Reserved.